Hockey Night in Canada’s Play On! is this country’s largest sports festival, with street hockey events coast-to-coast and more than 40,000 kids and adults participating each year. Roll.Focus. Executive Producer, Mike, has been involved in the event since 2010, serving as a host at the National Championships on several occasions while also developing video content for the brand and their social media channels. Over the past two years, the goal for the program has been to gather endorsements from players at the highest level, the National Hockey League. That led Mike to borrow an idea that was created while producing CHEK Television’s Vancouver Island sports show, Game On! – a quick rapid-fire interview with celebrity athletes. 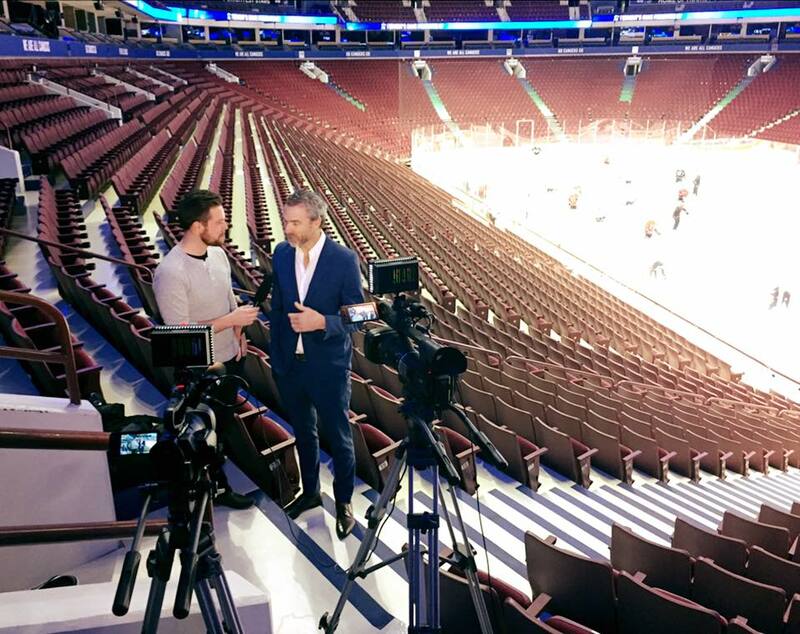 Before long our team was rinkside at Rogers Arena in Vancouver to chat with members of the Canucks, and this year our travels extended as far as Calgary, Edmonton, Winnipeg and Ottawa while gathering interviews with some of the sport’s biggest names. We have now interviewed more than 15 NHL stars, and the chance to hear some street hockey stories from the NHL pros really underlines how important the game of hockey is to Canadian kids, and celebrating that tradition is what Play On! is all about. We look forward to more Quick Shifts with players from across the country and around the world in years to come! Every year the Play On! team hosts more than a dozen events across Canada, giving thousands of kids (and kids at heart) the chance to celebrate the game of street hockey. And to help showcase the regional events to sponsors and participants, we were asked to create a highlight reel from both Calgary and Ottawa. Because we were already in the respective cities working on other projects, the usual hurdle of travel costs wasn't a factor in creating these clips. So our team arrived on game day to capture all aspects of a Play On! event - from the little ones in the Tidbit Division to the men's and women's Elites. It's always a blast to bring our cameras out to a great community event, and when that festival also involves our national pastime - well, that's just the cherry on top!